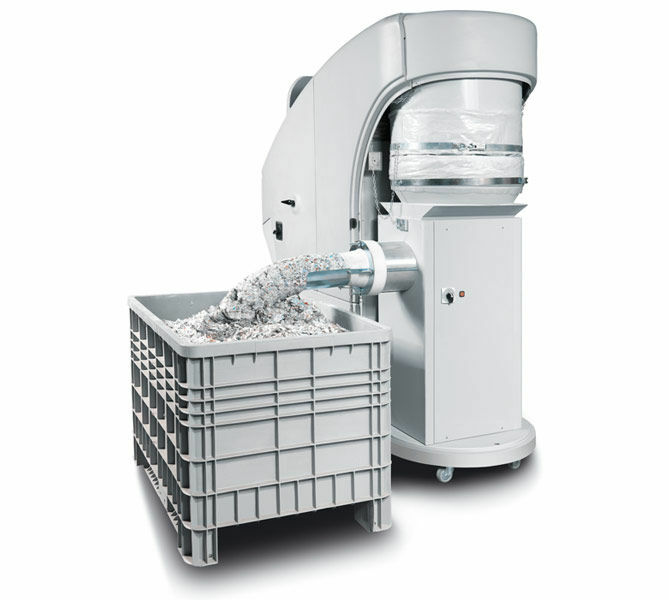 Designed to work with the MX-5 industrial shredder when paper is being shredded. 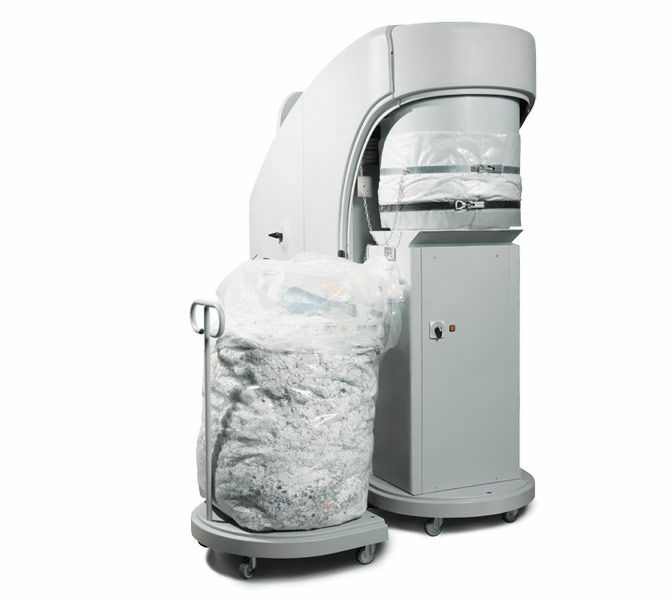 When shredding other materials, you simply remove the compactor and use standard MX-5 disposal bags. This optional accessory compresses and reduces the volume of the shredded paper by 4 to 5 times to minimize the space required for disposal. Easy to install and operate, the MX-5C will work with any MX-5 security level screen. Compacted shredded paper can be collected into any type of container or into plastic waste bags.